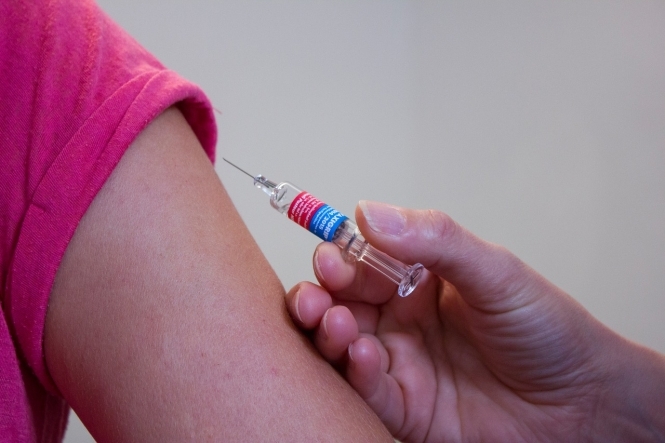 The French minister for health, Agnes Buzyn, has hit back against accusations that parents who oppose the new set of 11 compulsory vaccinations will face increasingly severe punishments. In response to the rise in compulsory children’s jabs from three to 11, some critical websites have suggested that parents could be hit by heavy and increasing punishments if they refuse the vaccinations, reports French news source Le Monde. One site - which Le Monde describes as “hostile and untrustworthy” - wrote that it feared that parents could be punished with up to two years in prison and up to €30,000 fines - an alleged rise from the previous sanctions of up to six months in prison and fines of up to €3,750. Similarly, European Member of Parliament Michèle Rivasi, who is a critic of the rise in compulsory vaccinations, has claimed that “punishments [for parents who refuse] will be heavier”, and said that changing law has been a “dangerous manipulation of MPs and the public”. Buzyn hit back at the claims in her statement, saying that her goal was not to “punish” but to “restore people’s confidence in vaccinations”. The accusations are thought to originate from two different laws. The first law - article L3116-4 of the public health code - details the existing punishment for non-vaccination (the six months in prison and fines of up to €3,750 mentioned above). But, because this law is set to be deleted, critics fear that another, more vague but more punitive law, could instead become the norm for parents who refuse the jabs. This second law - the article 227-17 of the French penal code - states that any parent who puts their child at moral, health, safety or educational risk without a legitimate reason, can be given up to two years in prison, and fines of €30,000. While Buzyn’s statement admitted that this law could, in theory, be used in the case of non-vaccination, she said that this law was not new, and “could have been used before [but was not used]”. “Punishments have not been [deliberately] made harsher,” the statement said. Buzyn added that the two laws had already co-existed, and the deletion of one would not change the application or circumstances of the other. Lawyers questioned on the issue by Le Monde were fairly certain that the more stringent law was unlikely to be invoked for parents refusing vaccinations.